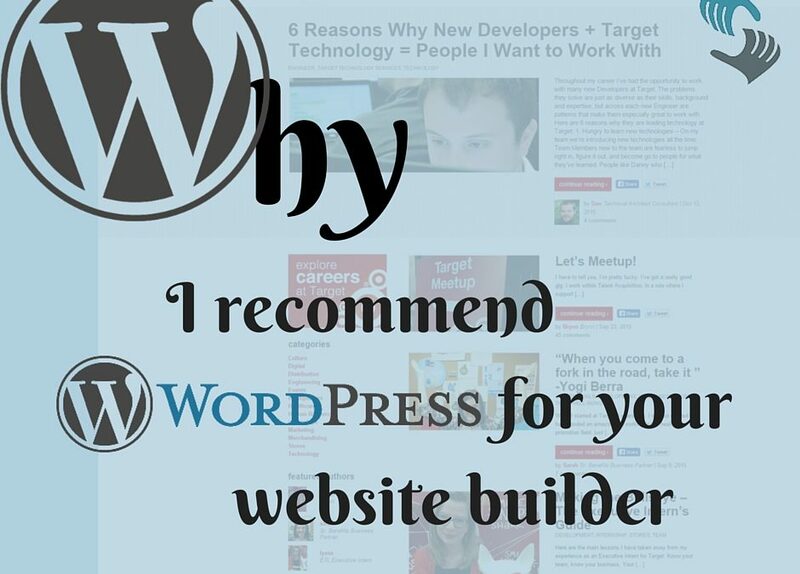 As a web professional, I highly recommend that you build every site on WordPress. While it isn’t as “drag-and-drop” easy to use as Wix, Weebly, Squarespace, The Grid, or PageCloud, WordPress still does provide significant ease-of-use. More importantly, WordPress gives your site a longevity and flexibility advantage that even the best website builder of the “drag-and-drop” variety can’t offer. If you’ve ever built a website on, say, Wix or some similar drag-and-drop platform, you know that eventually you run into a wall of limitations. Most of these services do provide third-party apps that you can pay for to handle things like form submissions, eCommerce transactions, events calendars, and more. Many of them are hobbled “freemium” apps. You have no ability to alter their behavior and functionality should you need to add requirements and features. If the app vendor goes out of business, you lose those capabilities on your website. Plugins are the hallmark of WordPress, making your website like a Swiss Army knife of features and capabilities. Like other website builders’ third-party apps, in 99.9% of cases, you will never need to write a single line of code to use a WordPress plugin. A huge variety of plugins are full-featured and free of charge. And, those that aren’t are often well worth the cost of an upgrade. Additionally, you can alter (or have a programmer alter) any plugin to do your bidding. If the plugin author stops supporting the plugin, you can choose to maintain it on your own, get help to maintain it from any one of a plethora of PHP developers, or simply and quickly switch over to another plugin that has probably popped up to fill the gap the old one left behind. WordPress plugins come in all categories and in many varieties within each category. Depending on your website’s requirements, it is likely that there is a plugin that already meets 90%-100% of your needs. And if it doesn’t, WordPress architecture is flexible enough to fill the functionality gaps at low cost. With entry-level website builders such as Squarespace, your hosting options are limited. They are almost always “shared”; in other words, you don’t have an option to move your site to a dedicated web server to handle increased traffic or to escape the negative consequences of shared hosting. And, if you ever want command-line level access to perform some special task or install some special software, fuhggeddaboudit. Not happening. In contrast, WordPress can be hosted on shared and fully dedicated servers alike. It is nearly always the default website builder tool choice promoted by website hosting companies because it’s been around a long time, is well-understood, and runs efficiently and securely (when configured properly). Several hosts have recently begun offering WordPress installations that are specially-tuned for their particular hosting environment. In fact, WordPress is the trusted web content management system software for household name businesses, celebrities, colleges, and entertainment and technology companies. Most notably, you’ll find WordPress is behind TechCrunch, The New Yorker, BBC America, and even The Official Star Wars Blog. Estimates of the number of WordPress themes vary. One website reported 10,000 in 2013, but the WordPress Themes Directory, which is well-maintained to include only the best ones, shows a little over 2,000 new themes. Given that there are many theme developers and commercial vendors that don’t necessarily list on the directory, there are likely at least 4,000 or more themes. It’s pretty easy to find what you’re looking for, though. For example, if I want a theme featuring the color black that is mobile responsive and is accessible to people with disabilities, I can filter for all mobile, accessible, black themes. 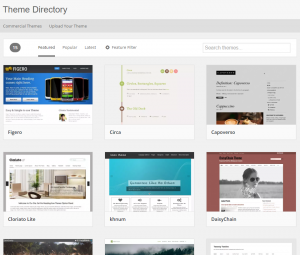 Themes are engineered so that they are highly modular and flexible. The difference between a good theme and a bad one is how well they use the theme’s architecture and how well the author supports the theme. Such information is available per theme in the directory, e.g. 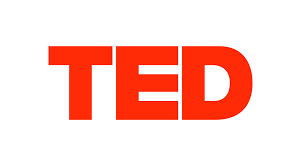 the Zerif theme. But if you want to avoid guessing on a theme’s quality, WordPress publishes a list of commercial themes known to not let users down. Depending on your needs, WordPress.com offers free hosting plans as well as plans up to $300/month. But if you already have a web host, or you have your own server, you can install WordPress for free. Plugins and themes plus any custom functionality will come with subscription and developer costs, but you should be able to run a very robust site for free as in speech. At the start, WordPress was a blogging tool. It has since evolved into a full-formed, enterprise-class website content management system. I know because I’ve used it to host dozens of sites at a major, international digital publishing company and for other businesses. It works. There’s no reason to think it doesn’t. As long as you put in a little time to get to know it, you’ll have little to lose and a lot to gain with WordPress.